The global market for Self monitoring blood glucose (SMBG) devices was valued at $11Bn in 2015 and is characterized by intense competition and low entry barriers for low-cost manufacturers. In India, the market for SMBG devices and strips was valued at about $98Mn in 2015.While the annual median expenditure on diabetes urban India is $153Mn, in rural parts it is about $97Mn. As a nascent market in India, HbA1c category observed an unprecedented growth in the last few years. Earlier HbA1c was recommended mostly in patients with complications; however although at lower frequency, HbA1c tests has been included in overall management of longstanding diabetes. Home based HbA1c tests have failed in the past due to poor accuracy, lack of reimbursement and lack of clear business strategy. 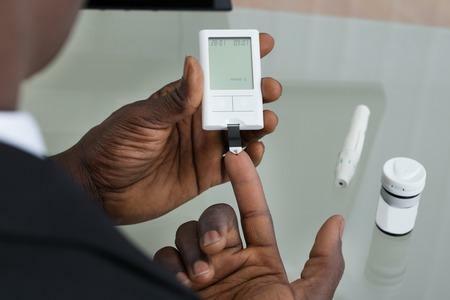 Majority of the non-invasive blood glucose devices failed due to inadequate design causing inaccurate results and moderate ergonomic challenges to patients. Research Methodology: Exhaustive secondary research was conducted to understand the current epidemiology for diabetes as well as the current diagnosis patterns, tests prescribed etc. In-depth analysis of competitive landscape was performed to understand the current technologies as well as upcoming technologies that may compete in the non-invasive space. KOLs in diabetes were identified and mapped. This also include typical prosumers of new diabetes technologies and drugs. In-depth interviews were conducted with diabetologists, CPs, GPs, and endocrinologists to understand their perceived importance of HbA1c, home-based monitoring and the current adherence patterns. The product concept / prototype was tested in details and key concerns, motivators to adopt as well as overall improvements sought were captured. Patients (users and non-users of SMBG) were further interviewed and shadowed to observe their unarticulated need-gaps beyond the fear of prick. Research Outcome: Our research helped establish the exact need for non-invasive technology for certain glucose measurement types; while nullifying the hypothesis around need for certain other measurements. With the need for incremental changes around accuracy and calibration quantified, new customer segments were identified. A detailed business plan with financial projections was created. Key product variants including HbA1c+CGM among other combinations were also evaluated in terms of clinical acceptability.Total addressable market estimates were created based on various customer segments including – pre-diabetics, early diagnosed and long standing diabetics, Type I insulin dependent diabetics among others. The clients benefited from EMeRG’s local understanding of diabetes patient pathway, diagnostic and treatment patterns as well as from the network of diabetes KOLs. Need local insights for the APAC HbA1c Markets?